Mr. Leary represents insurance companies in complex and high-exposure coverage disputes as part of his national coverage practice. Kieran has frequently been retained in coverage disputes which have garnered significant media and legislative attention, including sinkhole, crumbling foundation, sexual abuse, and Hurricane Harvey claims. 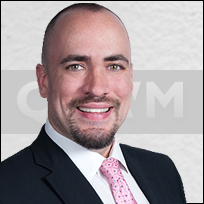 Prior to joining QSLWM, he was a partner in a firm which was recognized by the Connecticut Law Tribune as the Insurance Coverage Litigation Department of the Year as a result of his favorable verdicts in crumbling foundation litigation. Kieran brings extensive and successful first chair jury trial experience to the table for matters which cannot be resolved prior to trial. He also maintains an appellate practice and has appeared before numerous appellate courts, including the Connecticut Supreme Court. 1700 Barnum Ave. et. al v. West American Ins. Co. (Conn. Super. 2017)(Obtained defense verdict following five-day jury trial in matter concerning multi-million dollar commercial property loss).